The Joyetech BFL-1 Kth DL Head is designed for UNIMAX 2 Atomizer. It aims at cloud chasing and pure flavor. Get it as a spare part! 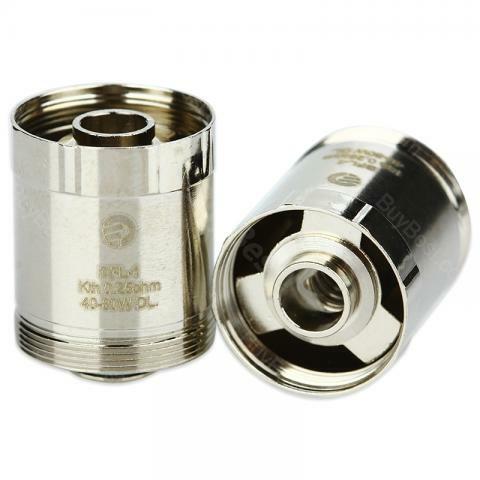 The Joyetech BFL-1 Kth DL Head is a 0.25ohm coil which is designed for UNIMAX 2 Atomizer. It aims at cloud chasing and pure flavor. Get it as a spare part! 5pcs/pack. • 1 x Joyetech BFL-1 Kth DL Head 5pcs/pack. • It's designed for Joyetech UNIMAX 2 Atomizer. Joyetech BFL-1 Kth DL Head is a 5pcs/pack head. It is the perfect combination for cloud chasing and pure flavor. It can be used under power mode with wattage setting at 40W.